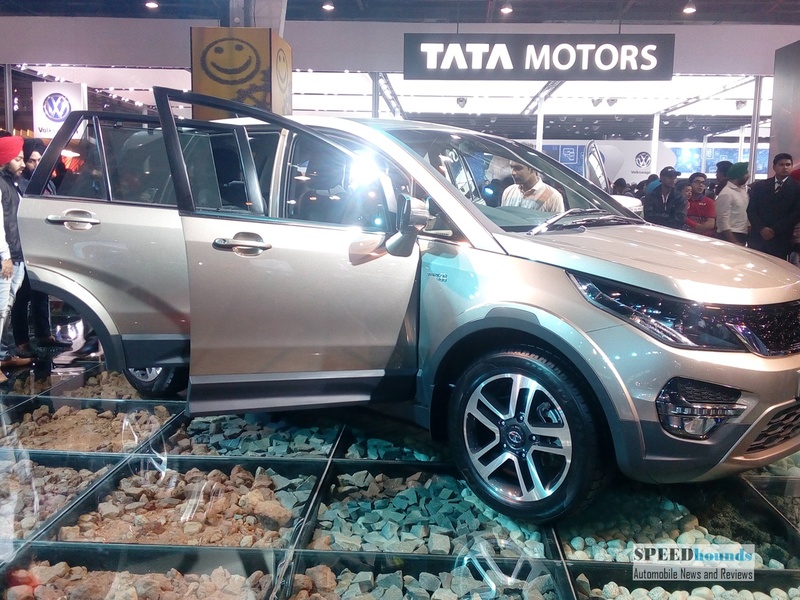 Tata Hexa production version unveiled at the Auto Expo 2016. The production version measures 4764 mm in length with 1895 mm width, 2850 mm wheelbase and 1780 mm in height. 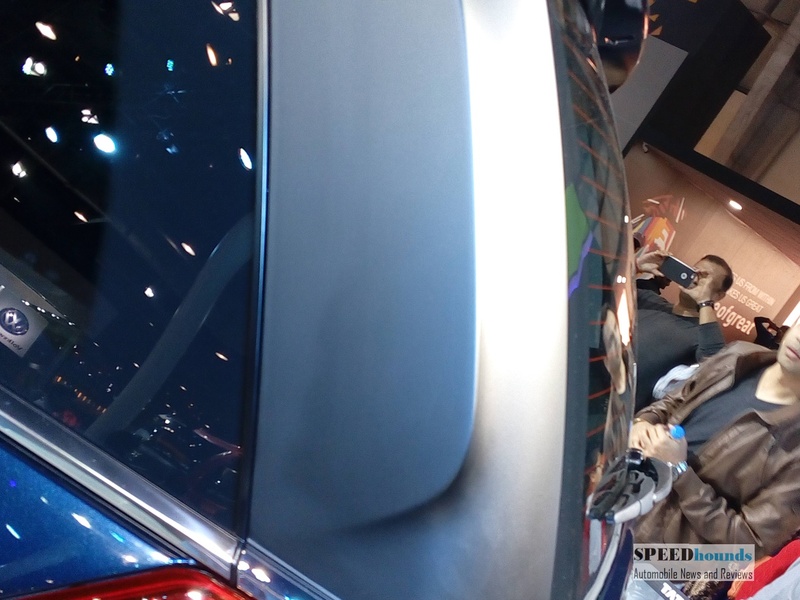 The lifestyle SUV will be powered by a 2.2 litre diesel engine mated to a 6 speed Automatic and manual gear box. The 2.2 litre oil burner churns out an impressive 156 PS of power and 400 NM of torque. 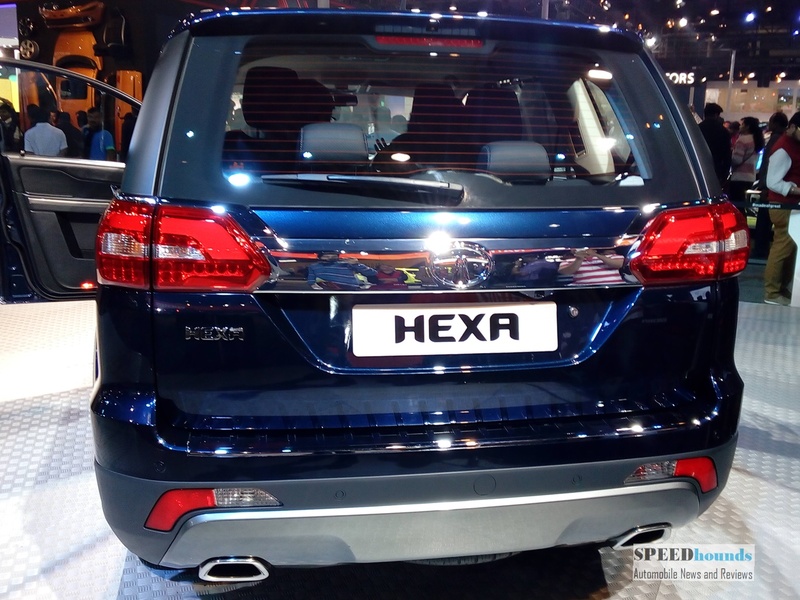 Hexa gets gets four drive modes are available to choose from: Automatic, Comfort, Dynamic and Rough-Road. 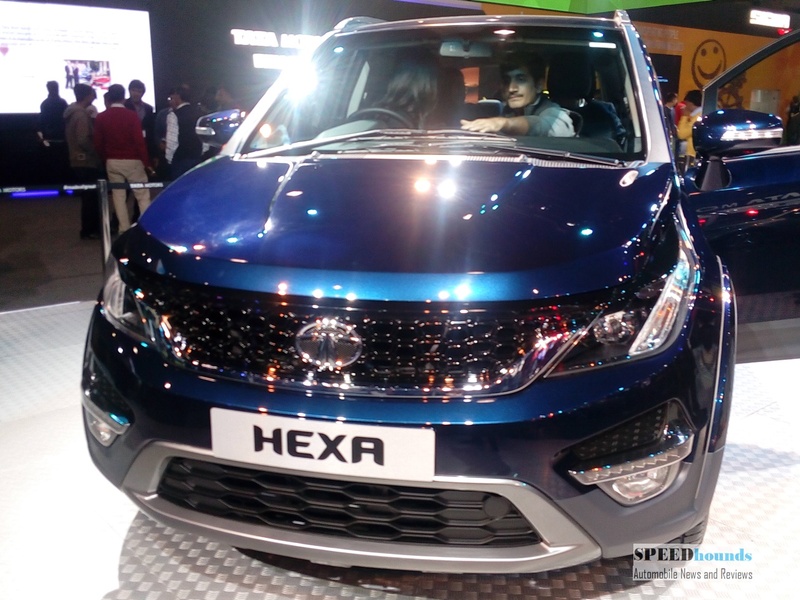 Ont the outside the Tata Hexa is adorned with dual colored bumpers with dual Hexagonal patterned front grill with chrome accented humanity line and smoked projector headlamps. 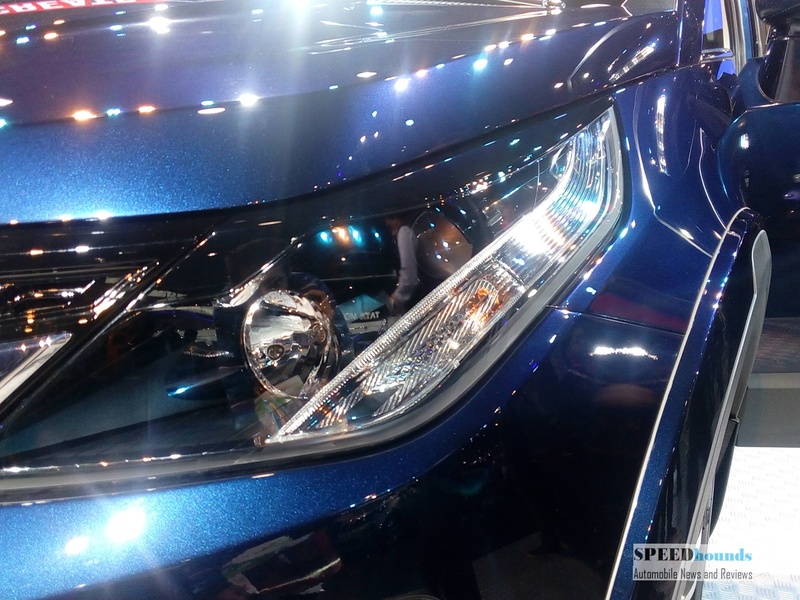 Adding to the sportiness of the vehicle wraparound signature LED lamps, door claddings, dual-coloured wheel arches, specially designed body coloured integrated spoiler and roof rails. Massive machine-cut 19” alloy wheels fill the huge wheel arcs. On the inside luxurious leather seats chrome accents around air vents, hi-tech infotainment system, flowing multi-function floor console with smart charger along with the elegantly contoured arm rest with utility space with accentuated bolsters further enhances the premium feel. The interior is accented with mood lighting, whose colours change according to the 4 drive modes or can be customized with a further 4 colours. 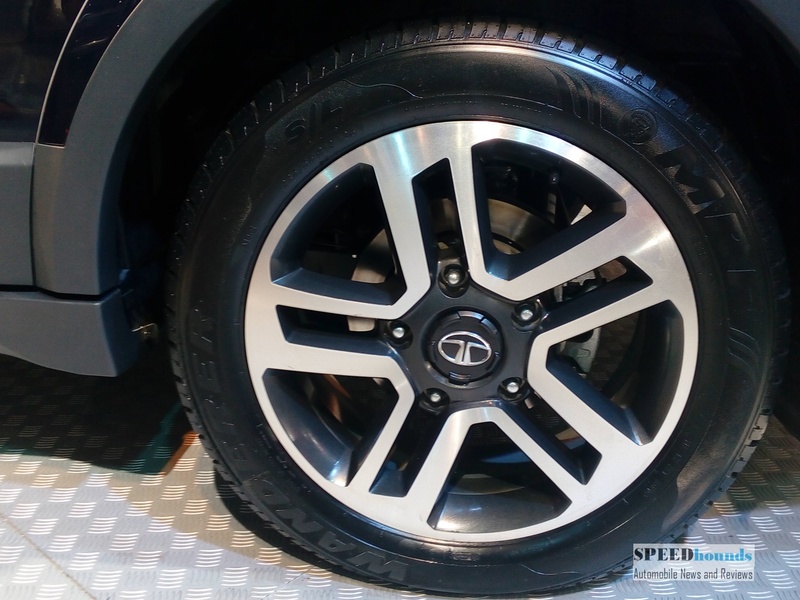 On the safety aspects Tata Hexa comes with 6 airbags, Anti-lock Braking System (ABS) with Electronic Brakeforce Distribution (EBD) and Corner Stability Control, Vehicle Dynamic Control, Traction Control System and Engine Drag Control System.